Sheet mulching consists of putting down old cardboard, newspaper and any other type of slowly biodegradable barrier, this in order to press down grass and weeds. On top you add a thick layer of compost, mulch, soil and other organic materials. You have now created a planting medium which with time will become a raised bed. Permaculture expert Geoff Lawton explains further on. 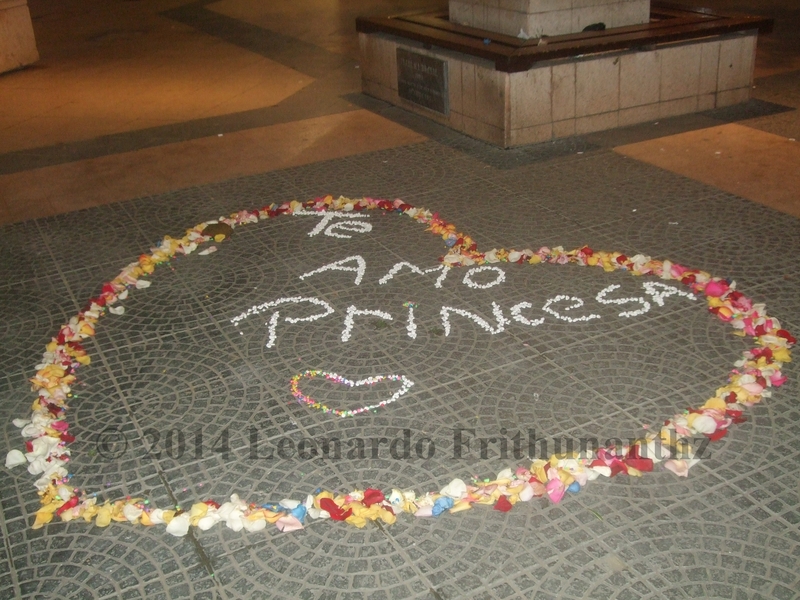 On Wednesday 14 January a bomb was detonated inside the Underground station of ‘Los Leones’ in Santiago de Chile. The target was a cash machine and the explosion occurred at 10.44 PM. Luckily, nobody was killed. 3 November saw the opening of Manchester Metrolink’s latest line, the 14.5 long Airport Line which connects Cornbrook with the airport, via Chorlton, Sale, Baguley and Whythenshawe. What is noticeable about this extension is that it opened more than a year ahead of schedule (!). The end-to-end journey takes 45 min to complete with services running between Cornbrook and the aiport every 12 min. The stretch uses a mix of street and segregated alignment. Interchanges are provided at St. Werburgh’s Road, Trafford Bar and Cornbrook. The Airport Line will reach Victoria when the Second City Crossing is finished in 2017. With this new line, Manchester’s Metrolink network grows to have 7 lines, 92 stops and 92.5 km of extension. It is as of 2014 the by far largest tramway network in the UK. On 1 November, Delft’s new 2.3 km long railway tunnel – ‘Spoorzone Delft’– was tested for the first time when a test train precisely ran through it. This happened ahead of its planned opening for passenger services (spring 2015). The tunnel and the new Delft Central Station, with 340 m long platforms, will open next year replacing the current railway viaduct which has been acting as a barrier in central Delft. 1,000 homes will be built, noise levels will be reduced and 30 ha of land for property developments are being released with this project. At first there will be two tracks running through the tunnel but there are plans for another pair. This would make possible a capacity increase, contributing thus to the national network. The CrommeLijn consortium consisting of CFE, Dura Vermeer and Mobilis started the construction back in 2008. BAM Utiliteitsbouw constructed the station and Strukton Rail installed electrification, signalling and tracks. The total cost of the project is €1bn, of which €330m has been contributed by the Ministry of Infrastructure and the Environment. Ok, here we go again. Once again, EFE, Chile’s state owned railway enterprise is marketing their ‘new’ train projects with the help of mass media. I’m perfectly ok with that. The problem is not publicity. The problem is what they’re telling the population and how they keep on deceiving when it comes to the huge demand for an intercity line between Greater Valparaíso and Greater Santiago. EFE Chairman Jorge Inostroza insists on telling the big lie, namely that according to him, there’s no demand for such train service. What? Is he taking the piss out of me? Out of us? Well, he’s not cozening me. How can he, the Chairman of EFE, a state owned railway enterprise, pretend to be serious, look into the camera lens and perpetuate lies? I’m not gullible. I have studied these subjects for years and I refuse that they take the piss out of me. Luckily, I’m not the only one defying his lies. Telly host Martín Cárcamo Papic questions his ‘claims’, by saying exactly the same that I’ve been saying, namely that it cannot be true. He goes on to say that he’s having a hard time in believing Inostroza’s claims and that if there’s not a demand, then obviously he and thousands and thousands of others are not being taken into account, as there is a demand and that he had moved a long time ago to the Fifth Region would there have been a train connecting Greater Valparaíso with Greater Santiago. Greater Valparaíso population is approximately 1 million people. Greater Santiago population is approximately 6 to 7 million people. The distance between these two areas is 120 km. It’s not 1,200 km but 120 km. Meager 120 km. Lousy 120 km. Neither 1,200 nor 12,000 but 120 km. Approximately 1 million people live in Greater Valparaíso. Yes, 1 million. Not 1,000 but 1 million. Another good part of this clip is that by the end, after Cárcamo Papic, fellow hostess Tonka Tomicic Petric adds that the bus industry always has had a finger in the pie, which is completely true! Finally! Finally does a public figure in Chile say it out loud! What a relief. PS. Yes, there are many descendants of Croatians in Chile. I gather that’s a fair question, isn’t it? Konrad Ydhage and fellow friends from Youtube Channel STHLM Panda ventured out into the bustling concrete jungle of Inner City Stockholm. Apparently they had initially only aimed at Stureplan, the ‘Ground Zero’ of Stockholm’s CBD. So they began panhandling in Stureplan and they persisted for two hours but nothing happened. Not a single coin nor note was given out to Konrad. After that displeasing experience they headed out to Rinkeby, one of Stockholm’s most famous multicultural suburbs. The result in Rinkeby? 245 Swedish crowns were collected, which according to Oanda’s exchange rate of today (3/9/2014) is roughly 34 USD. The whole idea behind STHLM Panda’s films is to show how people react in different situations. Konrad Ydhage tells Swedish newspaper Dagens Nyheter that the difference lay in the degree of empathy. Those in Rinkeby who for some reason or another couldn’t afford to give him money, stopped instead to chat with him. What are your thoughts? Was this a one-off? Was it a coincidence or do you perceive this experience as proof for a (global) behaviour pattern? Chilean State owned railway enterprise EFE comes out once in a while with their (in)famous “Planes Trienales” (Triennial Plans) where they supposedly present important railway projects that are about to be studied or become executed over a period of three years to come, hence the inclusion of the word “triennial”. Anyhow, it was no surprise that they recently presented their “Plan Trienal 2014-2016” which was featured in an article/interview in the Chilean Business Journal ‘Diario Financiero‘. “EFE and its new Triennial Plan: “We’ve got a second opportunity and we can’t miss it””. But these Chilean Plans are in the same league as many Master Plans for many cities across the world, namely, that in many cases you need to take them with a (slight) pinch of salt. They’re indicative though, in some way or another, and that’s a fact which cannot be dismissed. This new one includes studies for potential tramway, train and underground projects and they’re going to be studied between 2014, which is this year, and 2016. What really boggled my mind is that when EFE Chairman Jorge Inostroza was asked, and probably for the gazillionth time, about an re-introduction of railway service between the nation’s capital, Santiago de Chile, and Greater Valparaíso – with its core being the twin cities of Valparaíso/Viña del Mar, he replied that, and I quote him: “Valparaíso-Viña del Mar is still present but we haven’t felt that the demand justifies it”. My reaction was that it was a very bizarre, let alone, suspicious reply. For those who don’t know Chile, Greater Santiago has between 6 and 7 million inhabitants (nobody knows for sure the exact number). Take a look at an area located approximately 120 km to the northwest and you’ll find Greater Valparaíso which comprises the cities of Valparaíso, Viña del Mar, Concón, Quilpué and Villa Alemana. This whole area houses about 1 million people. The core of the area, namely, Valparaíso/Viña del Mar/Concón has approximately 700,000 inhabitants. So it comes as a big surprise to read authorities stating that they “haven’t felt that the demand justifies it” when there’s obviously a burgeoning demand for faster and more comfortable trips. According to Chilean Transit Law, buses are only allowed to travel at max 100 km/h, meaning that a trip between Valparaíso or Viña del Mar and Santiago usually takes 1½ – 2 hours. Let’s take it again, shall we? You’ve got somewhere between 6 and 7 million people living in one area and across the towering coastal mountains to the northwest, you’ve got another 1 million people living in another area. 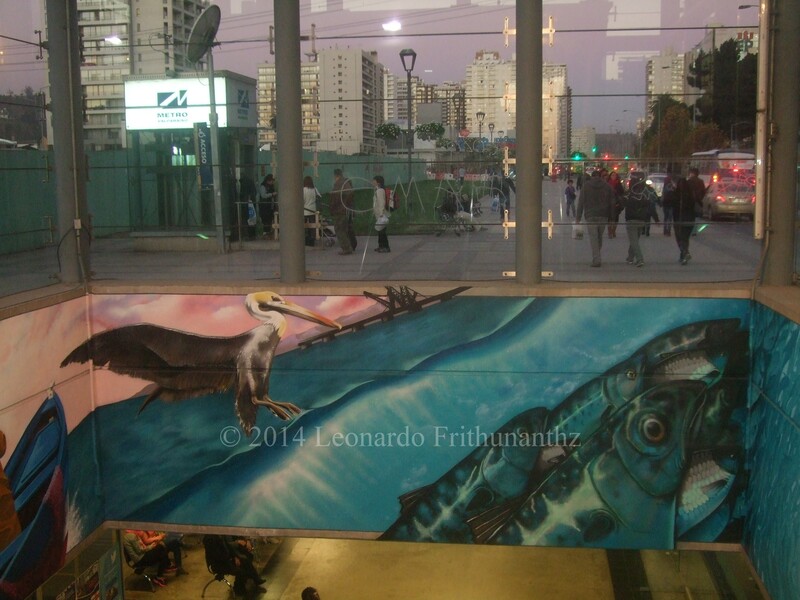 Have you ever visited the bus terminals in Viña del Mar and Valparaíso? Many people live in Greater Valparaíso but study or work in Greater Santiago, or the other way around. Traffic jams are a common sight on ‘Ruta 68‘ which connects these two areas. And you see almost or entirely overcrowded buses pass all the time. So, no demand justifies a railway service between these two areas? Nonsense! One doesn’t need to be in Planning to realise that there is a demand. Even a huge one. But then again, this is Latin America, the promised subregion of buses, buses and more buses. Will we ever see this between Valparaíso and Santiago de Chile? I was surprised when I discovered that somebody had created this simple yet beautiful piece of art. Who created it? I haven’t got a clue but I had to take a picture of it. I really haven’t got a clue, but who cares when it’s so beautiful. It goes to show that the most beautiful things in life are often the most simple ones. …It just took them 9 years. 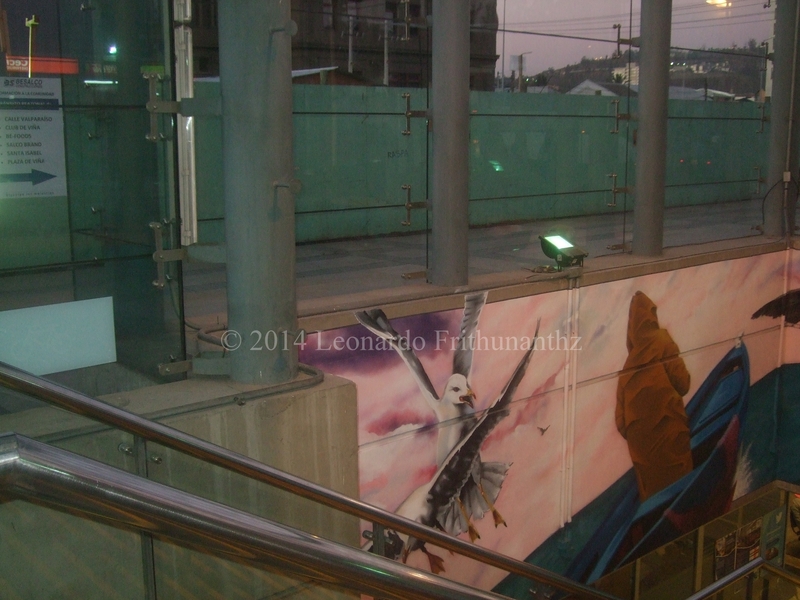 The new Valparaíso Metro, a S-Bahn-like service, was inaugurated in November 2005. Formerly a ‘common’ railway, it was converted into this modern service with a state-of-the-art system and rolling stock, the latter freshly produced back then by Alstom. Now, after years of complaints, they’ve finally started painting these dull stations. 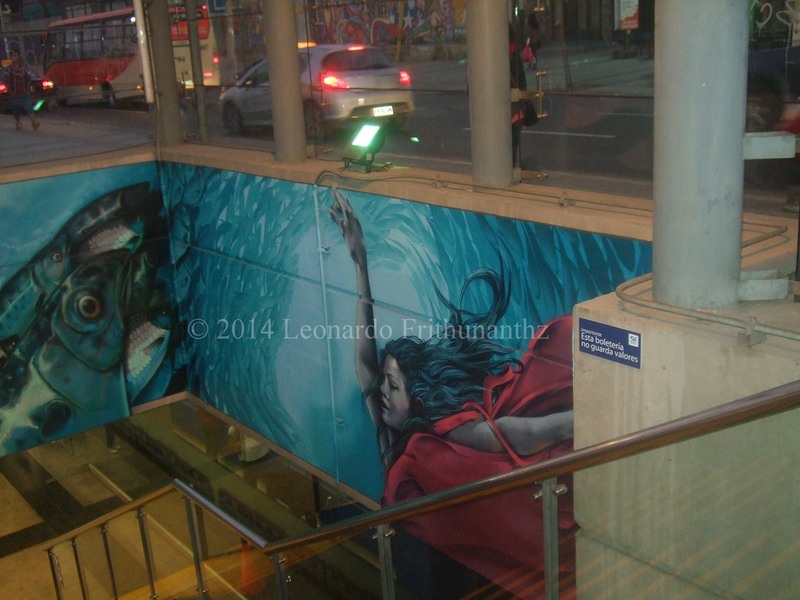 “Viña del Mar” became the the first one and so far they’ve painted its entrance. The day, 31 Mey, the new an modren tram wis hinderly lenched in Edinburgh. The new line is 13.5 km lang, haes 15 staps an rins frae the Airport in the wast tae York Place in Mid-Edinburgh whilk is mair tae the east. It conseests sae faur o’ ane line. Tramcaurs are manufactured by Spainish company, CAF, wi heidquarters in the Spainish Basque Kintra. NOTE: This little post on the new Edinburgh tram was written on purpose in Scots, or at least I tried to, in case you were wondering about all those “typos”.